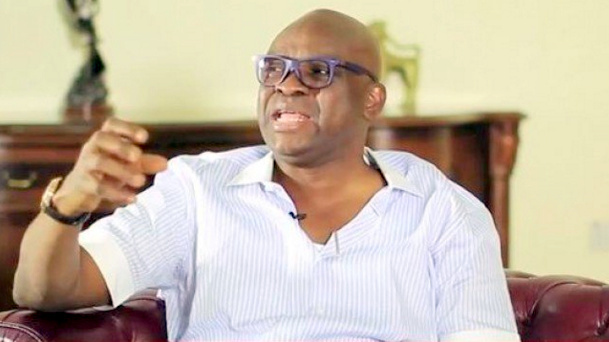 Ekiti State Governor, Ayodele Fayose, has lamented the outcome of the Ondo State Governorship election, saying the Independent National Electoral Commission (INEC) connived with the All Progressives Congress (APC) and its collaborators in the Peoples Democratic Party (PDP) to rig the election before it was conducted. The governor, who reacted to the outcome of the election in a statement issued by his Special Assistant on Public Communications and New Media, Lere Olayinka, said INEC gave the APC victory by deliberately replacing the name of Eyitayo Jegede, the PDP candidate, thereby creating legal logjam that lasted till three days to the election. He said the PDP went to the election with its hands tied to the back because of the actions of INEC. He said political parties, except APC, are now contesting elections against INEC. He said, “Even though INEC allowed what appeared like a free and fair atmosphere on the Election Day, the election had been won and lost before it was held. “For instance, INEC that witnessed the PDP primary election that produced Mr Eyitayo Jegede succumbed to pressure from the APC cabal to replace him with Jimoh Ibrahim, who did not take part in any primary election known to the Electoral Act. “What could anyone have done under 72 hours in an election that was heavily monetised by the APC? “The whole process was a deliberate sabotage by INEC, which has totally bastardised the electoral process.